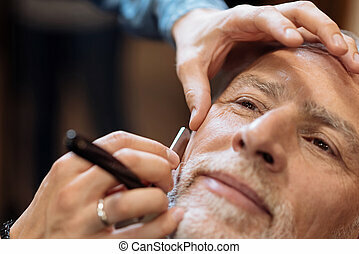 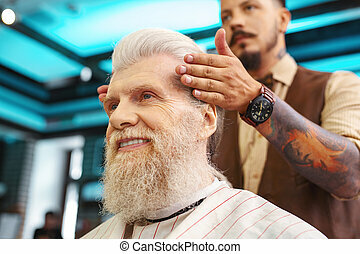 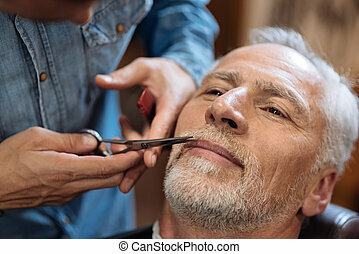 Close up of barber during haircut for grey-haired man. 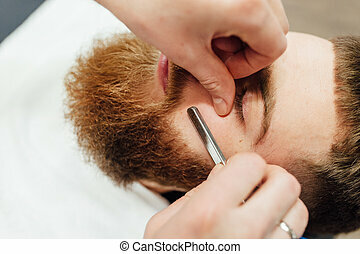 Doing accurately. 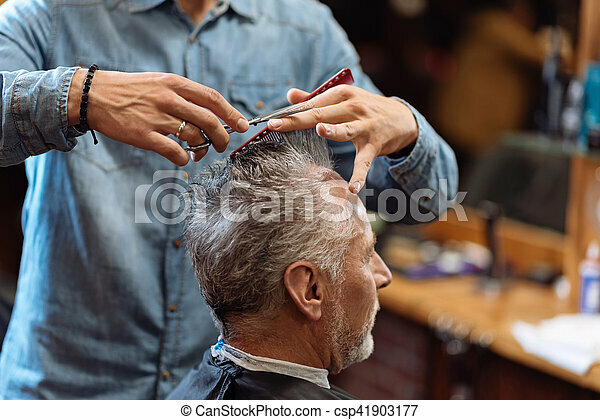 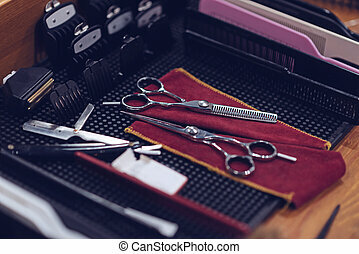 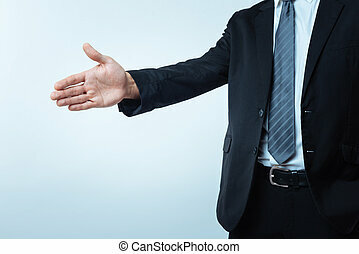 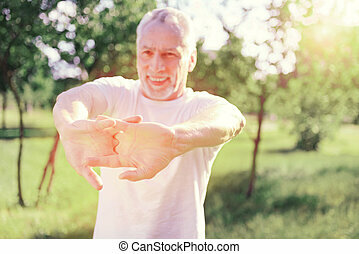 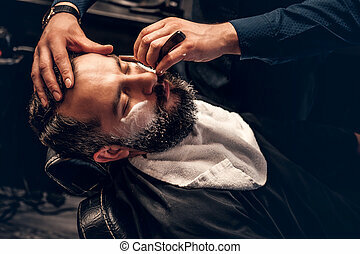 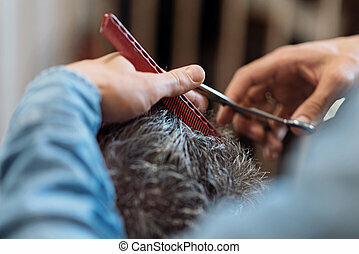 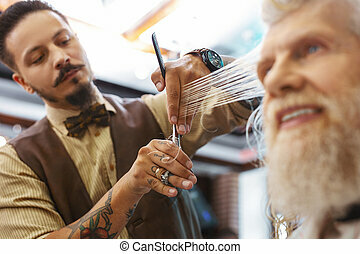 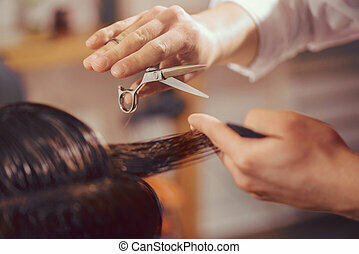 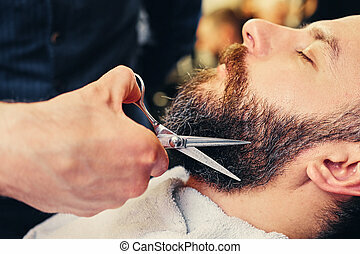 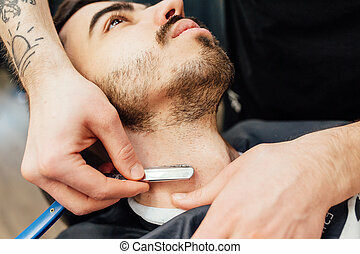 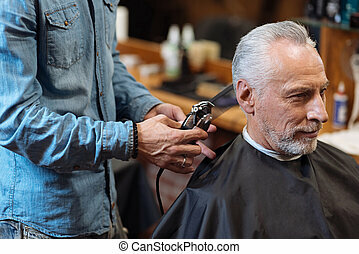 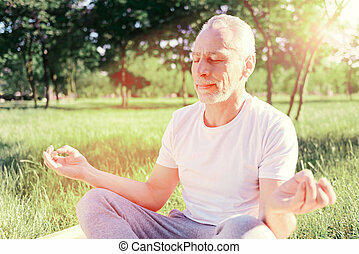 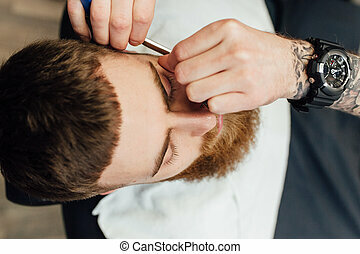 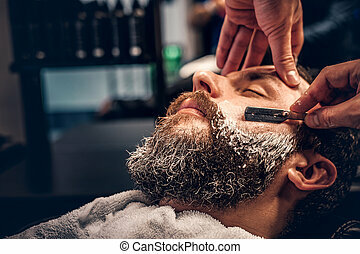 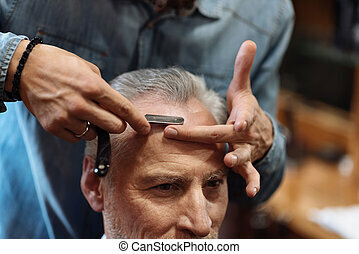 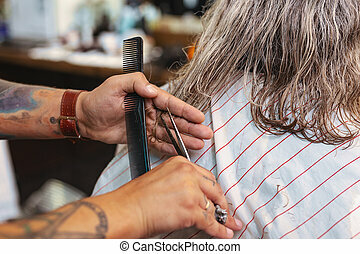 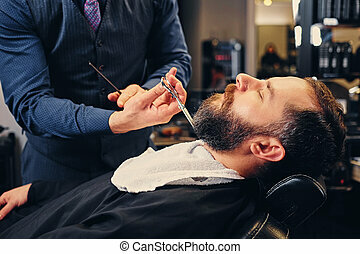 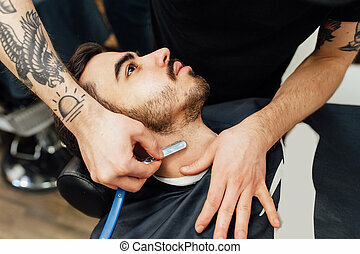 close-up of male hairdresser holding scissors and comb while doing haircut to senior man. 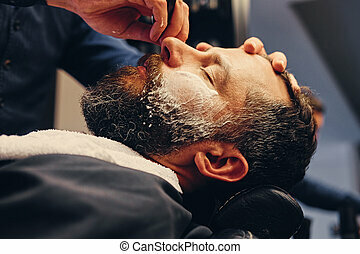 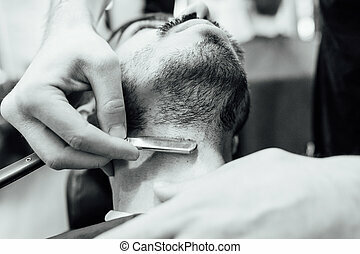 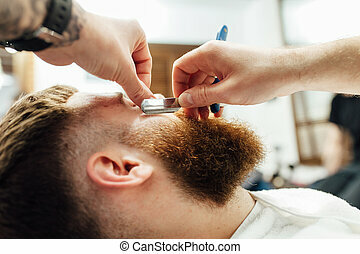 Close up image of barber shaving a man with a sharp steel razor. 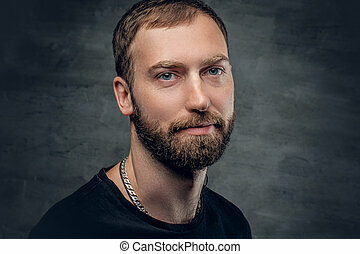 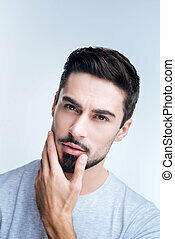 Close up portrait of bearded man on grey background. 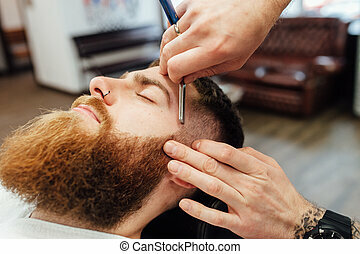 Making perfect. 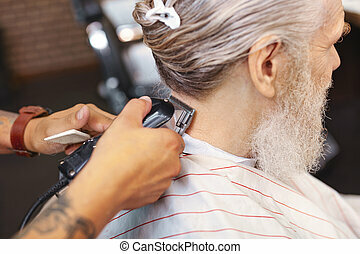 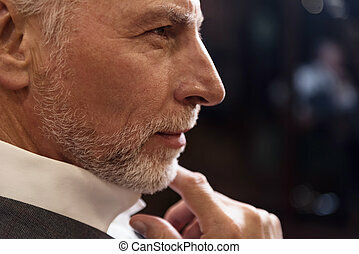 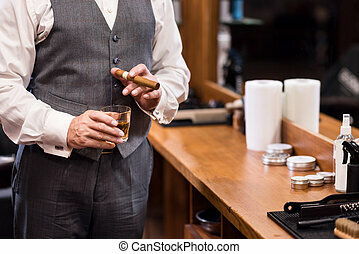 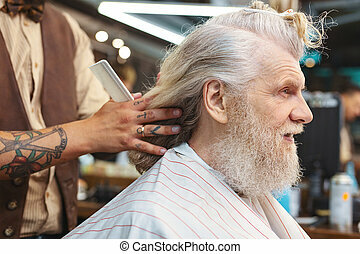 Back view of senior man having haircut by professional stylist while sitting in barbershop. 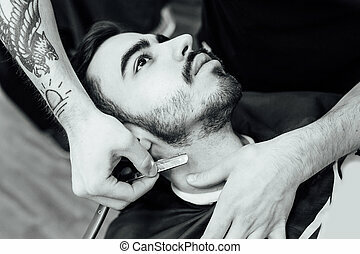 Almost ready. 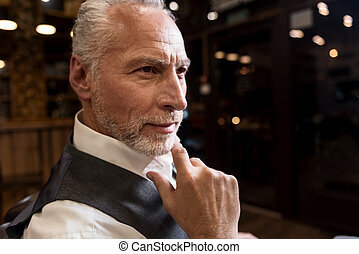 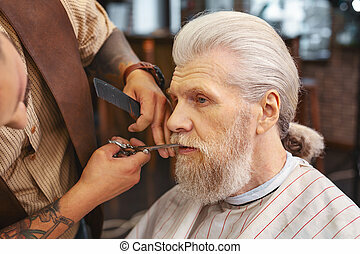 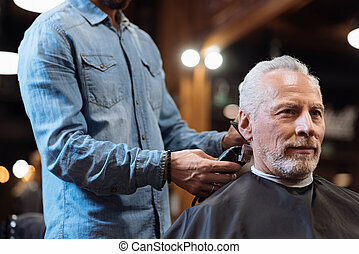 Handsome senior man sitting on chair at barbershop while youthful hairdresser trimming his hair. 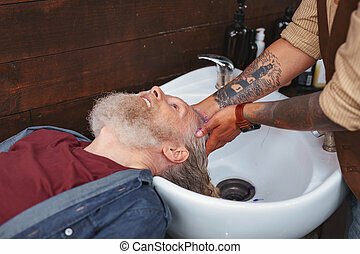 Final steps. 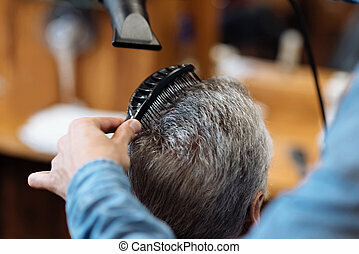 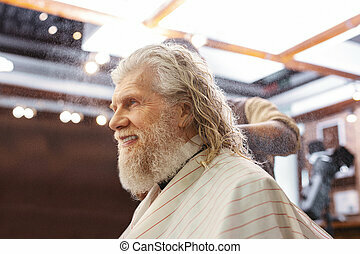 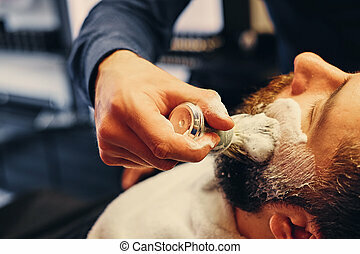 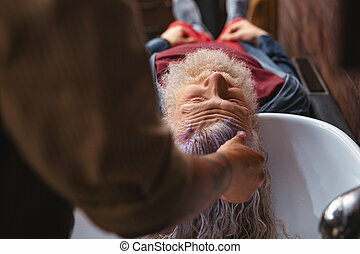 Close up portrait, male hairdresser combing and blow drying the hair of senior client at barber shop. 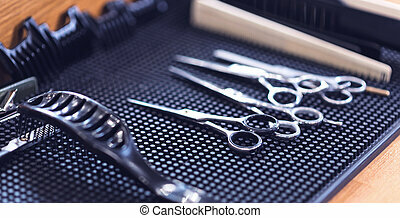 Ready to start. 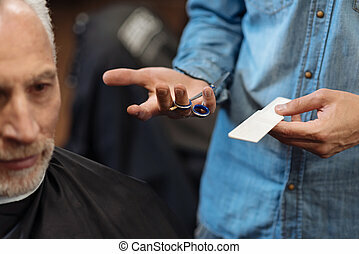 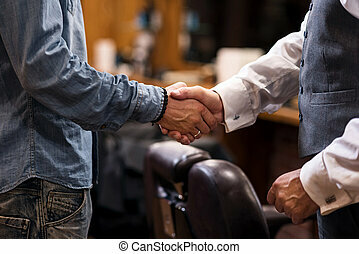 Close up of barber holding scissors and comb while his senior client sitting at barbershop. 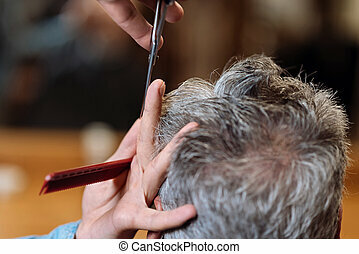 Everyday medical routine. 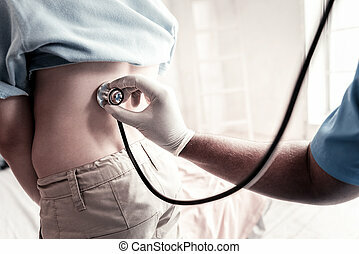 Scaled up look on a male medical worker in gloves using his stethoscope for listening of patient breathing during a checkup.